Youth Art + Culture Lab is an exciting partnership between Emily Carr University and Richmond Art Gallery, providing youth aged 12 – 15 an opportunity to build confidence and develop diverse creative skills; through behind the scenes, hands-on and interactive sessions with local and international artists, art gallery professionals and Emily Carr University instructors. 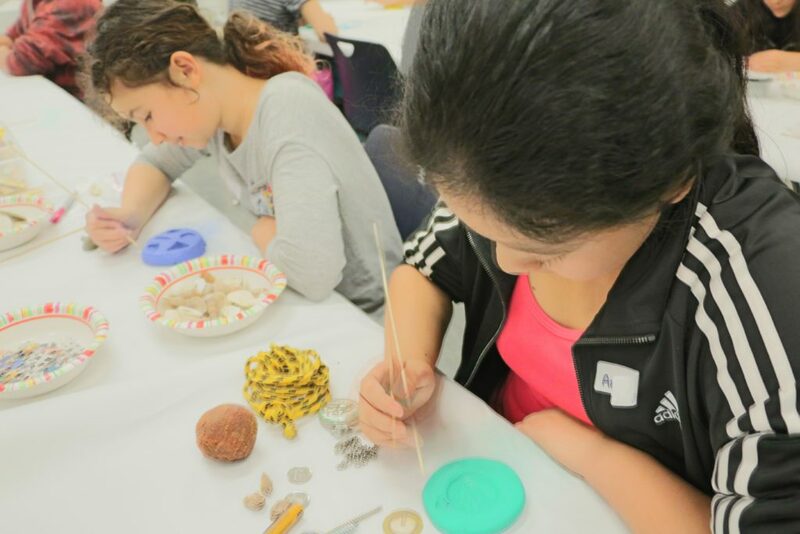 Youth Art + Culture Lab meets regularly on alternating Sundays of each month at Emily Carr University (520 East 1st Avenue, Vancouver) and the Richmond Art Gallery (7700 Minoru Gate, Richmond) from 1:00 – 4:00 pm, October 2019 until April 2020, with breaks for holidays and closures. Regular attendance is required. A detailed schedule will be made available online at the start of the program. Learn more about the program at the Open House event on Saturday, May 11 at the Richmond Art Gallery. For details, visit here. For more information please contact Emily Carr University at teens@ecaud.ca or 604-844-3810, or visit the ECUAD website here.